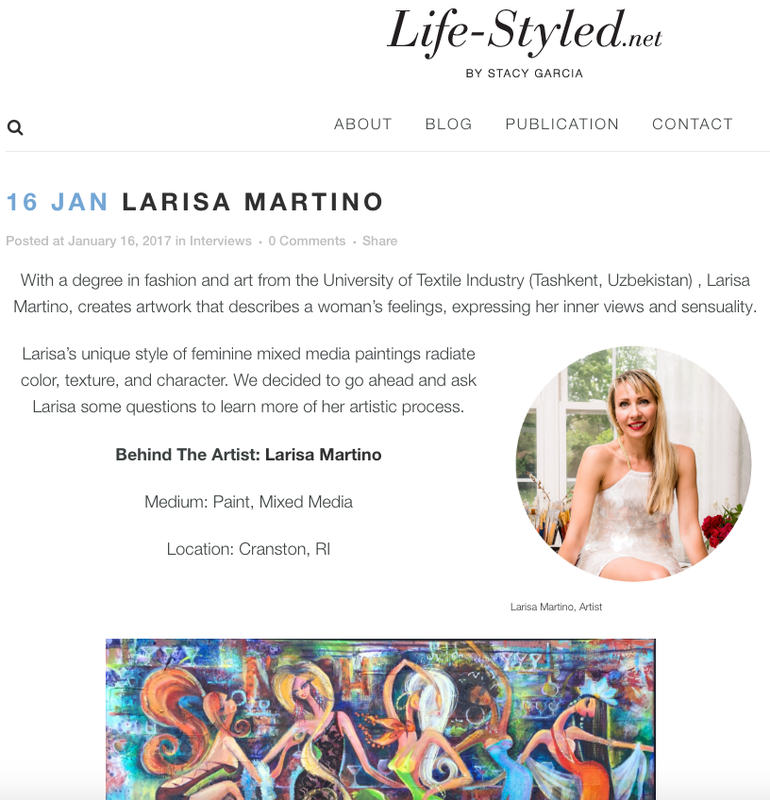 Back in January 2016, Larisa Martino was asked by Life-Styled Blog based in NYC if she would be available for an interview. She said: "Yes, of course!" Life-Styled.net is a lifestyle blog missioned with inspiring designers and design-minded individuals. It covers the intersection between fashion, interior design, travel and entertaining. Features include a Color Crush, interviews with designers and information on trends. This ezine is inspired through the contemporary lens of Stacy Garcia.